Mercury turns retrograde on Sunday (April 9 – May 3). Mercury represents how we process information and how we communicate. Astrologically, Mercury retrograde is a time of setbacks, reiterations, or inconsistencies, especially with regard to communication. Mercury retrograde periods influence everything related to business, media and news casting. They also affect anyone who relies on the accuracy of information. While Mercury is retrograde, the professionals are working overtime attempting to correct communication mistakes, and to produce clear, concise information, no matter how thick the stratosphere is with misinformation. Full Moon in Libra on April 11 brings events that revolve around such things as law, the justice system, friends and marital partners. Relationships are a balancing act. Friends will share their strengths as well as their weaknesses. Troubled times can strengthen even the weakest links in friendships. Refuse to contribute to the weakness of a friend; nurture friendship with patience, understanding and encouragement. Use this Full Libra Moon energy to empower your relationships. Diplomacy, peace and goodwill can be achieved among loved ones, but a definite effort is required. As the Full Moon reaches its peak, don let forgetfulness, irritating attitudes or minor disagreements impinge of the quality of your relationships. Want to know the theme of your relationship? This report compares your temperaments and personalities, whether you are married or living together. Reveal as much information about you and your partner intention of opening doors of understanding and awareness. Aries: The Full Moon in your opposite sign on April 11 is a volatile one, so if you don’t want to be caught in the middle of World War III, you might need to be mindful whether you provoke feisty responses from others. Not the most tactful or subtle of signs, Aries can sometimes create conflict through thoughtless words or actions. Be extra mindful of this tendency around the Full Moon when everyone’s patience and tolerance could be stretched to a breaking point. If you want more peace in your life, be peaceful. The best use of these volatile energies is to release something that no longer works for you and to move on with an understanding that nothing lasts forever. Much progress can be made within a relationship if you are willing to make changes and be tolerant and kind. Whatever your individual circumstances, this is a week when some kind of change needs to happen. Discover a personal profile and 1-year forecast based on advanced calculations of your name and birth date. Taurus: The Full Moon on April 11 is a great opportunity to change your life. While that might sound huge, the changes can be as small as you like. For example, making a change to your diet or lifestyle to create better health could be one way you change your life. Another might be to look at how you can improve your work or the role that you play in service to others. Perhaps it’s time to expand. To expand, you might need to make some space by clearing out that which no longer fits. At the root of all this potential change – large or small – is your belief system that is undergoing a radical shift. Perhaps you no longer think or believe in the same way that you used to, and this will alter the way you live. In a nutshell, be prepared to make space for something new, and aim to seek growth and improvements in either your work or your health. Need a guide for your growth and personal evolution based on astrological influences upon your personality? Gemini: As the Moon grows full in your zone of authenticity, you might feel the need to dance to your own tune. This could mean getting your life back if too many sacrifices have been made. It could also mean taking a step toward something you would love to be or do. Someone might act as a catalyst for these changes, which have been bubbling under the surface. Either way, this is likely to be a week when your interactions with others trigger the need for change, which in the long run, will be of great benefit to you. So don’t be afraid to let go of the old, whether it’s clearing out your clutter or letting go of a relationship that isn’t going anywhere. Have no regrets in what you choose to move on from because new beginnings are just around the corner. 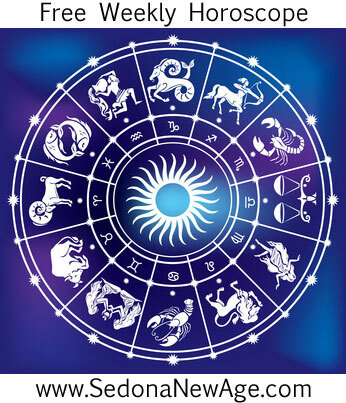 This interpretation of your birth chart is written in simple language could be beneficial in self undestanding. Cancer: The Full Moon at the base of your chart on Tuesday brings your attention to your home and family. There is much potential here. In fact, joy and happiness are most likely to be found within your own four walls, so try to create a balance between the demand s of your life in the outside world and your time spent at home or with family. Despite the potential for domestic joy, there is a strong likelihood of tension and drama due to the grand cross activating your career, home, and relationship angles. Perhaps this is the time to decide what is most important and where your priorities lie. Indra reveals your life’s contradictory urges & drives as well as your basic motivation, perceptions, inclinations and character. Leo: It’s time to change your attitude! As Earl Nightingale said, “A great attitude does much more than turn on the lights in our worlds; it seems to magically connect us to all sorts of serendipitous opportunities that were somehow absent before the change.” As a Leo, you’re a naturally positive person, but maybe there’s an area of life in which you’re not always very positive and might experience bouts over fear, doubt, or insecurity. Perhaps your health or work gets you down. If this is the case, this might be your cue to change things. With a positive can-do attitude, even the most arduous of difficulties become surmountable. Want a detailed report for parents to help with the child’s growth to strengthen the assets and avert possible problems that the child could face in their life? Virgo: The Full Moon on April 11 is likely to bring matters of a financial or material nature to a head. You’re likely to witness a change that should feel liberating and positive. However, a word of warning: if you don’t want to end up in a financial pickle, watch your spending. Don’t take silly risks or spend or gamble more than you can afford to lose. If the risk is a calculated one and will benefit you in the long term, then go ahead. If you see the best of this volatile Full Moon, you could, after a period of instability, begin to witness a growing sense of abundance and prosperity, and the more you can let go of your old financial attitudes – particularly if they are in any way limited or negative – the more likely you are to find yourself on the path to prosperity. Want a birthday to birthday practical guide to help you recognize opportunities and to learn from them. Libra: This might not be the easiest week you’ve ever had, but it could well be one of the most interesting. The Full Moon in your sign on Tuesday accompanied by Jupiter is likely to heighten your emotions somewhat, and the opposition to Uranus and the Sun could make you feel like throwing in the towel. Add to that the difficult square from Pluto and Saturn’s square to your backtracking ruling planet Venus, and you could be forgiven for wanting to head for the hills. So what good can we glean from this? Well, could it be that this is an opportunity to learn something in matters of the heart? Could you give a little more freedom or ask for some space? Can you create a healthy balance of freedom and intimacy in your relationships? Can you do something that reignites the original spark and brings growth to the relationship? There is a strong opportunity to have fun with others, but first you have a hurdle to overcome that involves patience, faith, trust and commitment. Sometimes weathering a storm together is as, if not more important, than taking an exciting trip, so stay home and review what you need to do. Want to know the actual dates when the energies will influence your life in money, career, relationships, and communicaton? Scorpio: A change is as good as a rest, and this is something you need to keep telling yourself as an electrifying Full Moon on April 11 jolts you into action. One thing is for sure: something unsatisfying can’t carry on in its current fashion, so whatever happens this week, remind yourself that it’s probably for the best. If changes occur at work, roll with them, for this is one area of your life that looks ripe for change and innovation. Following the path that excites you is your best option, and sticking with the tried and tested might only result in frustration. However, there might be a need for caution if financial risks are involved or if your health isn’t great, in which case you would just need to play it more carefully. With such an unpredictable chart, things could go either way, so feel your way forward using that powerful Scorpion intuition to sense your best options. Want a one year forecast to understand the scope of influence for your personal Cards of Destiny? Sagittarius: Although this week’s Full Moon is very volatile, at least it illuminates the pleasant areas of your chart, giving this week the potential to be growth inducing. You might find that your social life and your role in society is brought into focus, perhaps leading to changes in friendships, groups and organizations. You might feel an increasing need for freedom or authenticity to be able to follow your heart and do what you would love to do. Perhaps this week is about your desire to play a more autonomous and creative role in your life, which could lead to some very interesting and positive developments. Contemplating a move? This report tells how you will react to the energies of the specific locations for relationships, finances, and security. Capricorn: Home and work take center stage under a volatile Full Moon on Tuesday, and it might be a challenge to keep everything on an even keel. You might be challenged to step into your power with work colleagues, people in authority or those closest to you. It might be helpful to remind yourself that you have more power than you realize, so when people or situations seem to be taking control, be assertive. Don’t allow yourself to be derailed from what is important. This could be a week when growth happens or opportunities present themselves in your professional life. Refreshing changes at home or with family members are also feasible. This week glimmers with the potential for progress so long as you can keep your cool. Discover your character traits, relationship and career potentials – based on Edgar Casey Readings. Aquarius: This is likely to be a very busy week, especially around the time of the Full Moon on April 11. Or perhaps it is more accurate to say that your mind will be very busy – full of thoughts, ideas and insights. Don’t be surprised if one or two fears or darker thoughts emerge at this time, for Pluto is dredging up dark matter from your unconscious and bringing it to your attention for purification. If you can do this by analyzing any dark or anxious dreams or by going into your fears as they arise, you will experience a shift that could be classed as an awakening. Thus, it would be beneficial to spend time in meditation and contemplation so that you’re in the ideal position to work with the contents of your mind. In a nutshell, this Full Moon will keep you busy, which could serve as a distraction, but if you’re willing to examine and modift your beliefs, it could also be an extremely illuminating week. Discover your past life connections that can carry over into your current life, accounting for interests, habits, even phobias. Pisces: The Full Moon on Tuesday brings clarity and illumination to your financial and material worlds, making this a great week to create change, liberation and growth. Things could happen without your intervention, but if they don’t, you probably just need to change your methods. Indeed, change is what is strongly highlighted now, so be prepared to do things differently. As the saying goes, “If we always do what we’ve always done, we’ll always get what we’ve always gotten.” Instigate a change if need be; the ensuing upheaval is likely to result in matters being better that they were before. Discover your soul’s intention for this lifetime, the lessons to be learned, qualities to develop, problems to be resolved, services to be rendered. Sun 01° Taurus 13' 23"
Moon 29° Scorpio 26' 22"
Mercury 05° Aries 39' 52"
Venus 01° Aries 09' 05"
Mars 14° Gemini 03' 55"
Saturn 20° Capricorn 27' 38"
Uranus 02° Taurus 27' 04"
Neptune 17° Pisces 45' 46"
Chiron 03° Aries 33' 32"